In an exciting turn of events, Retro Video Game Systems has teamed up with Coleco to re-brand and distribute its gaming system as the Coleco Chameleon. According to RVGS's press site the system will, "accurately play classic games from the past. The COLECO Chameleon also has the ability to play brand-new games in the 8-, 16- and 32-bit styles, a growing and popular genre in today’s game scape." The approach that Coleco and RVGS has taken with the Chameleon is to produce a system that keeps gaming simple and fun. No online connection, no need to update, and no restrictions on lending and borrowing cartridges. RVGS desires a return to a seemingly better time in gaming history. They have recently put out a call-to-arms requesting developers to build for their system. RVGS has also stated that launch titles will be announced in January leading up to a Toy Fair debut slated for February 13-16. 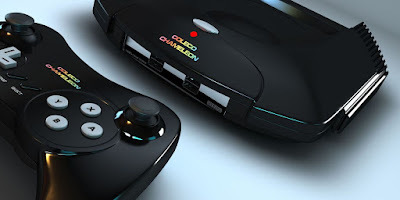 While there hasn't been much buzz or talk about this system in the main stream gaming media, the Coleco Chameleon could prove to make a positive impact on the gaming community by simply positioning itself as a fun and entertaining machine. We will have to see what future announcements and the Toy Fair debut brings.